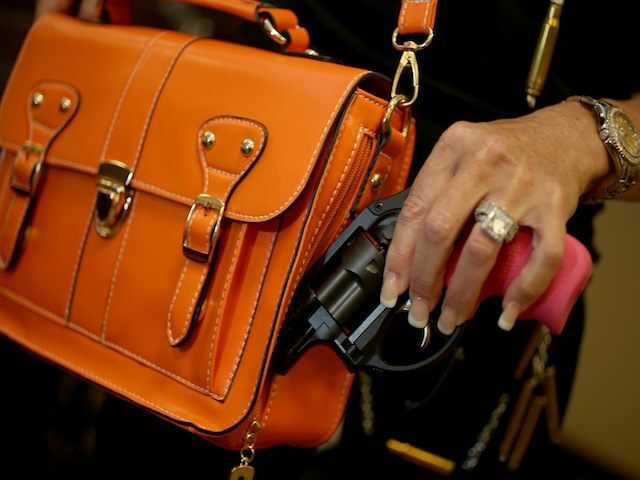 On Thursday, the New Hampshire Senate concurred with the House and passed legislation to eliminate the requirement for a license to carry concealed in the Granite State. The legislation — HB 582 — would simply treat concealed carry like open carry, which is already legal to do without a permit in New Hampshire. In short, HB 582 removes the requirement that citizens pay the state for a concealed permit before exercising their Second Amendment rights. But Democrats argued for a continuation of the current structure of allowing open carry without a permit while requiring a permit for concealed carry. Sen. Lou D’Allesandro (D-Manchester) accused Republicans of simply pursuing change for the sake of change — because the GOP controls the Senate — instead of pursuing change because it is actually required. Again — New Hampshire law already recognizes the right of citizens to carry a gun openly without a license. And Republican lawmakers argue that that the citizen who carries a handgun openly — and legally — without a permit commits a criminal act when his jacket or sweatshirt covers the gun and makes it concealed. Removing the permit requirement for concealed carry removes the criminalization of law-abiding citizens.